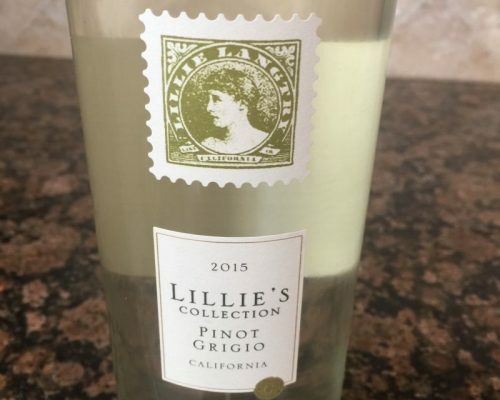 This week’s bargain wine of the week is Lillie’s Collection Pinot Grigio. We purchased a couple of bottles at Bevmo in their five cent sale; which made the cost per bottle a reasonable $8.50. I bought this particular wine because of a long-standing connection between us and this label. When California Girl and I lived in the UK, we had a long weekend at Langtry Manor Hotel in Bournemouth. Langtry Manor was built in 1877 by Edward, Prince of Wales, for his mistress, Lillie Langtry. It was a great stay in an excellent hotel. Over dinner we drank a Lillie Langtry Chardonnay. This was not a case of the hotel slapping a label on a bottle of generic Chardonnay; there was an historic justification for the branding of this wine. 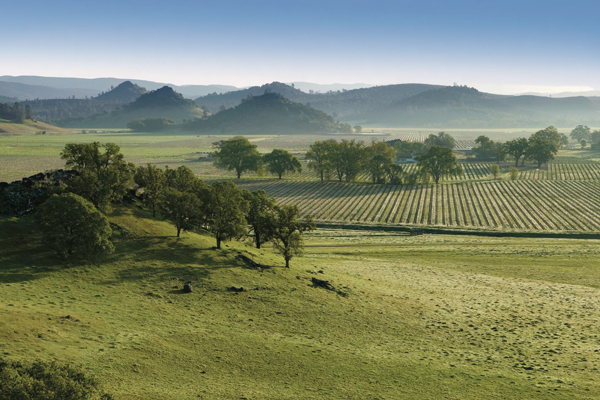 Lillie toured the US as an actress and in 1888 she purchased 4200 acres of vineyard in Lake County, California. She sold it in 1906, but the Langtry name is still attached to the estate which sits in the Guenoc Valley. This latter name is also used on labels for this winery. 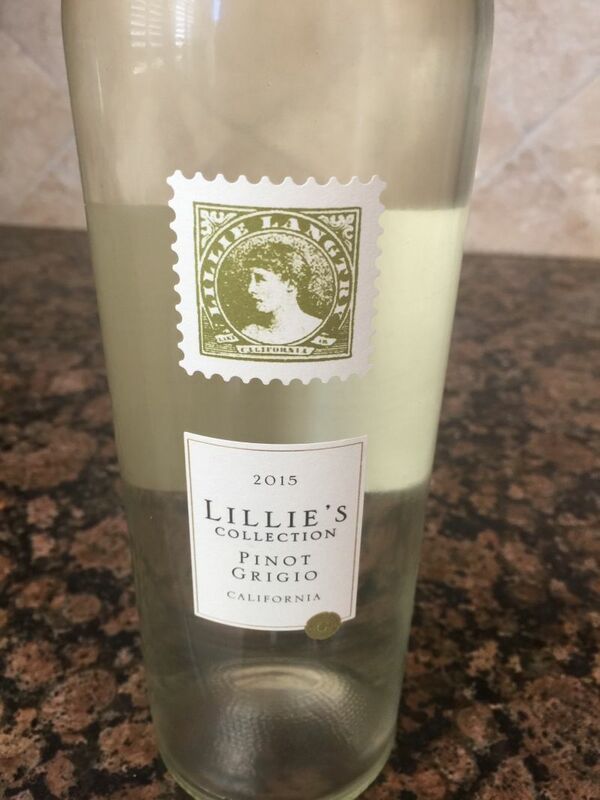 We have a friend who is especially fond of Pinot Grigio and on her recent visit, we opened one of the bottles. The wine is a very pale yellow. The nose is floral with notes of almond. Taking a sip, I was surprised by the low acidity. The initial flavour is a muted citrus that leads to a finish of peach and cream. The wine is the epitome of a light, easy-drinking, inoffensive Pinot Grigio. Ideal for drinking on a warm summer’s day, or with lightly flavoured fish.